The holidays are here, and so is the season of giving. There are numerous ways to contribute, from coat drives to food banks. This #GivingTuesday, the Labor 411 Foundation highlights some unions that are striving to make a difference not only this time of year, but year-around. Did we miss your favorite? Let us know. The AFL-CIO is a long-time partner of Toys for Tots. Every year it works to raise funds for families who cannot afford to buy their children gifts. 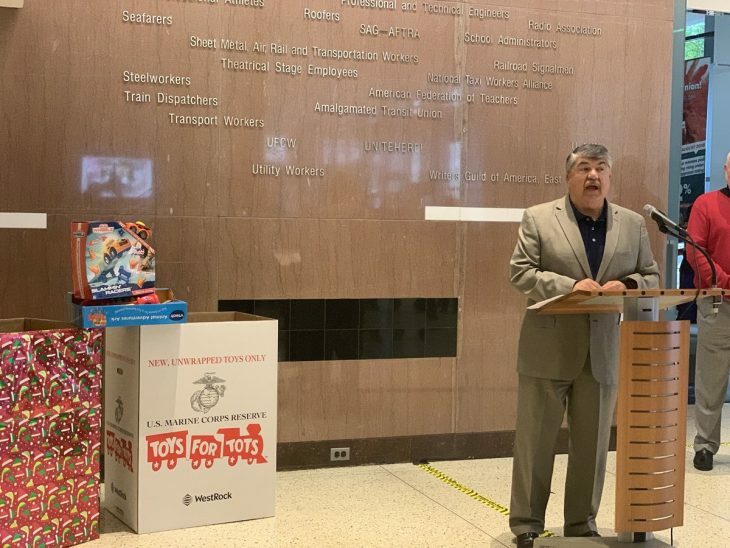 Since the AFL-CIO began working with the Toys for Tots, they have raised $750,000. The ICG Local 600 is stepping up to help the homeless with a sock and blanket drive to make sure people will get the materials they need to stay warm. Donations of new socks and new and lightly used blankets can be brought to the ICG offices up until December 1 at 7755 Sunset Blvd., Los Angeles, CA 90046. Call 323-876-0160 for more info. Earlier this year, the Los Angeles County Federation of Labor announced a partnership with the American Red Cross to tap into the varied skillset of organized labor and train 100 union members in Emergency Response. “Our building trades members can operate heavy equipment that can clear rubble,” said Rusty Hicks, LA Fed President. “Our Hollywood unions can set up a city in a day.” This Holiday Season, the LA Fed is also doing a toy drive, recognizing that every child should have a gift to unwrap for the holidays. 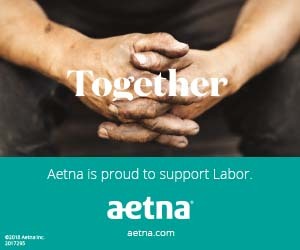 With “Labor Cares, Labor Shares,” as its motto, the Metro Washington Council AFL-CIO Community Services Agency works to improve the lives of workers and their families through its Emergency Assistance Fund and other services. The CSA’s big fundraiser this year was its 12th Annual Night at the Nats. The Philadelphia Council AFL-CIO raises money to help families this holiday season. For over a decade the Philadelphia Council AFL-CIO has raised money to adopt union families facing hardships. The money they raise helps families with groceries, gifts and other items they may need. IUPAT District Council 9’s Women’s Committee helps to educate and integrate women members as they enter the trades; and its Young Lions Committee cultivates new leadership by fostering community engagement. Local 802, the world’s largest local of professional musicians, has created the Musicians’ Assistance Program (MAP) to offer their members resources to make it through tough times. MAP offers professional consultations, crisis intervention and short-term counseling. This year UFCW Local 152 in Philadelphia honored National Food Bank week by hosting their first Food Drive Contest to give back to local communities. 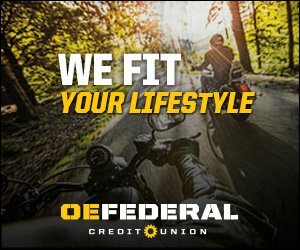 The members of 152 recognize that during the holiday season many families must choose between paying bills and buying groceries, to say nothing of buying gifts for loved ones, and they want to step in to ease the burden. The nationwide hotel worker strike has taken a toll, and the San Francisco Labor Council has stepped up by raising funds and organizing food drives while the labor strife continues. “This is important because it shows that the entire movement is supportive; and practically, it’s important because these workers can see and feel the solidarity through food and other goods that we can provide,” said Rudy Gonzalez, SFLC Executive Director. Every year the United Food and Commercial Workers (UFCW) partners with the National Association of Letter Carriers for their popular – and successful – Stamp out Hunger Campaign, using their resources to collect food for those in need in the area. Last year UFCW 770 out of Los Angeles stepped up to aid those who were affected by the California fires and this year is no different. Local 770 has offered resources to help those effected by the Woolsey Fire from crisis counseling to evacuation centers.